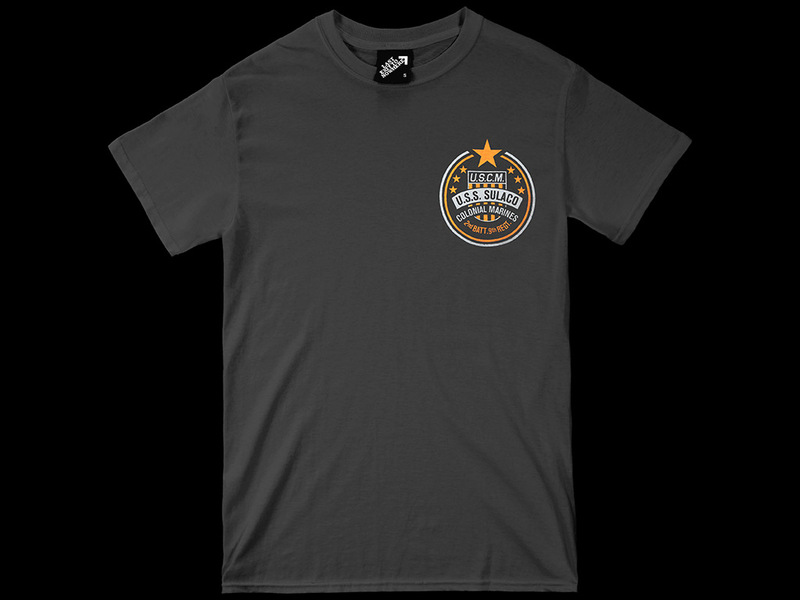 A two colour design, hand screen printed on a regular fit 100% cotton charcoal T-shirt. 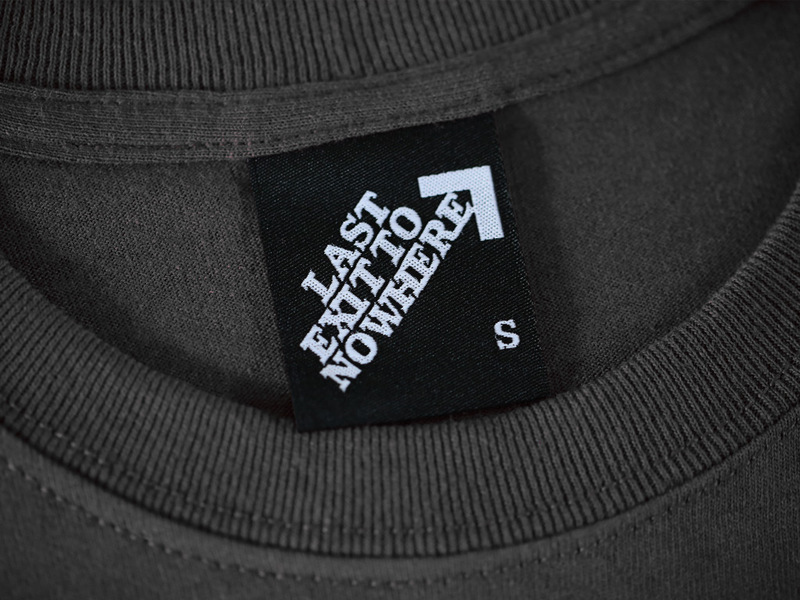 Includes a single colour back print. 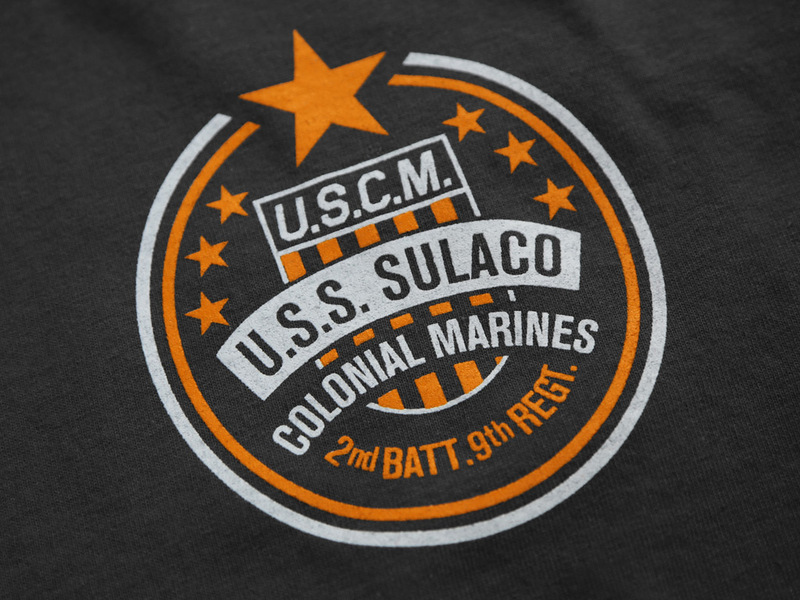 Inspired by the fictional marines featured in the 1986 film, Aliens, written and directed by James Cameron and starring Sigourney Weaver, Carrie Henn, Michael Biehn, Paul Reiser and Lance Henriksen.